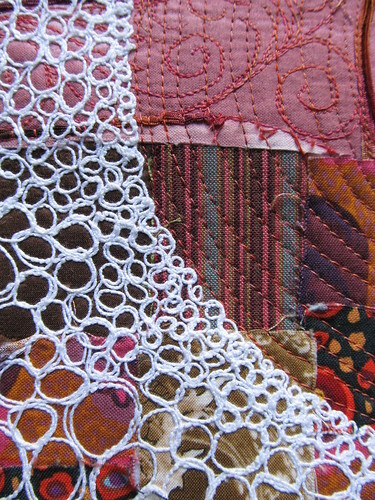 This is a detail of a piece called Andy's River. I was thinking of Andy Goldsworthy, but also my neighbor Andy and his daughter River, when I was stitching this. I just entered it into the Northampton Arts Council Follow the River exhibit. I'm excited that people are thinking about the river as a whole, and how we live in this watershed. It also sounded like they were asking for this specific piece, clearly I feel it is a good match! 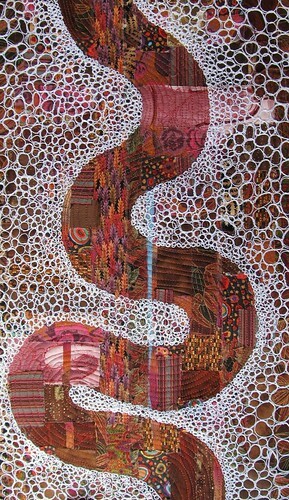 Andy's River, 2009, fabric and stitching, 13"x22"